It took us over 2 months to complete and organize all images for this comparative review. Ales Mejdrech – Carl Zeiss s r.o. 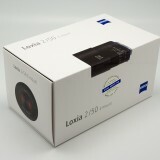 – camera lens marketing and sales manager for the Czech Republic. Thank you Mr. Mejdrech for renting us new Milvus and Otus lenses for this review. Because of your kind support, I ended shorter for the price of Otus 85/1.4, which I certainly didn’t need, but after seeing test results, I figured out that I can’t live without it. You are great sales manager, I hate you sir! Radek alias VerysmallLobo, man who makes whole verybiglobo project possible by designing pages and investing time and money into it. No words to thank you enough. Martin Zeljak, my friend, great father and talented photographer. Thank you Martin for borrowing us Zeiss Planar 85/1.4 ZF for this test. I own you couple of beers mate! Vladimir who recently joined our team. He is trying to help with the mess that I managed to create in the back-end of our web editing platform. James, Anthony, Melvin, David, Michael and many others who sent us donation. Your contribution is very much appreciated! Pavel Sinagl – www.pavelsinagl.com Great photographer who helped me in parallel shooting of our models, beneficiary giving this review his talent and precious time. The only problem is that his images are much nicer than mine, so please take that in consideration, before you make final conclusion about lenses. It’s a photographer, not the lens. Thank you ladies for your patience (and beauty, that makes us slightly more excited about testing lenses for free in the freezing Prague winter). My dear wife Rozalie for her understanding and support that goes far beyond sanity. You my dear, are my biggest inspiration and motivation. Few months ago, I was able to briefly test new Milvus lenses in Oberkochen, Germany. Most interesting ones were of course completely new designed Milvus 50/1.4 and Milvus 85/1.4. (Rest of Milvus line has same optics as their predecessors, so I don’t expect any significant shift from already published reviews). Getting back home and talking to my friends and colleagues, we decided to put in the schedule comparative review of Otus vs Milvus vs Planar at 85 and 50(55)mm. On Verybiglobo, we are focusing on comparative, field test based reviews, rather than pure LAB tests. Here is short attempt to explain why we do so. LAB tests are certainly better (more reliable) indicator of absolute optical performance than field tests, but at the same time they are strictly and carefully controlled tests, relying on professional testing devices, targets and software analyzes. For many, those tests will remain main indicator of particular lens quality (even if that is mostly wrongly interpreted, because they are usually system performance indicators, not the lenses alone). On the other hand, we are evaluating our images (the main purpose why we are buying lenses if you forgot it, as I do sometimes) by our eyes. So in case that you are not genius who can see mathematical formulas as beautiful pictures, visual representation of the MTF charts is not bad contribution to overall lens performance presentation. Even with the LAB tests, it is almost impossible to create 100% fair playground for all candidates, because of too many variables involved in the image processing, including optical deviations caused by sensor covers, camera chamber reflections, micro-lenses, production tolerances, in camera RAW software corrections etc. With the field tests, this is just more complicated, because we have to deal with change of light, lack of large monitors for focus control and last but not least – live subjects that are permanently moving. Lenses might be also tested on the optical bench or other, sensor independent measuring device, or their performance figures could be synthetically created, but even if the first method will give most reliable results in terms of optical qualities, same might have little impact on a real life pictures, because cameras those lenses will be used on, will contribute (in good and bad) to the final results. Respected review sites are giving us (lens/camera) system achieved results but that’s why cross-platform comparisons are hardly relevant, no matter how fancy awarding and evaluation method is created and presented. On top of system based results, most resolution chart based tests are performed at close to minimum focus distances, where another bunch of limitations arise, not to speak about lens optimization for a certain focal length, usually closer to the infinity (While with floating element lens design, focal plane distance deviations are minimized, they are still present, especially with the zoom lenses). 100% even lighting on the test chart (very difficult to achieve), 100% exact alignment (nightmare), 100% elimination of possible shutter shake and 100% accuracy in achieving critical focus are all necessary if we want to get closer to “absolute” comparison between two systems. Even if all that is accomplished successfully, proper test should include representative number of production samples, in order to eliminate production variations. All that being said, I know that almost every lens that I ever tested was somehow different, has stronger and weaker sides and is certainly unique enough to represent specific view to the captured scene. This is why comparing lenses make sense, but it is very important to clarify what are we comparing and what we want to find out with such a comparison. 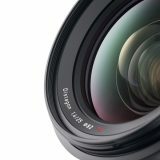 This review is attempting to compare 3 Zeiss DSLR lenses, of the same focal length and same maximum aperture, not to find which one is best, but to give our readers different point of view on obtained data and images, in order to help them decide, which one will serve better their purpose. Sony Alpha A7 (ILCE-7) and Sony Alpha A7r (ILCE-7r) vs rest of the world. Part 4. Outstanding work, but it just highlights the paradox of the two higher-end lenses: you can’t focus them reliably on Nikon DSLRs and they don’t really mount well on the Sony Alphas – the only mirrorless FF alternative. The only discussion I have seen about the Outii on Canon has been from Ming Thien, and then only in passing. Is it possible to get better focusing results on the higher end Canon cameras? thank you for the comment. I tried to focus Otus 85/1.4 on Canon 5DSr with approx. same success as with Nikon D810 e.g. It’s not impossible to acquire critical focus, but the overall resolution (camera + lens) gets so high that tollerance margin for slight misfocus is bellow my capabilities to rely on my focusing technique. As I wrote in the review, it’s not about having blurred images, but if you don’t get perfect focus, you’ll end with a results that are entering category of slightly softer lenses. Consider Planar 85/1.4 e.g., because of the spherical (and chromatic) aberration, it has slightly softer image overall. If you slightly shift the focus forward or backward, you won’t see much difference at the pixel level, just. different type of aberration will be more pronounced. If you shift Otus/Milvus, you’ll get similar result as with Planar, and that’s huge difference from the lenses maximum resolving potential. If you have time to magnify image on the Canon 5DSr LCD and if you can control your shutter speed/subject movement safe ratio, using lenses such as Otus/Milvus makes lot of sense. If you like to work with optical vewfinder as I do, I am afraid that your keepers ratio will be bellow expected. (At wide apertures). You named it well – it’s kind of paradox that is hard to ignore. It occurred to me on revisiting that there is an alternative body for the Otus lenses – the Leica SL via an adapter. It is reputed to have a very fine EVF. It has the heft to balance with an Otus lens. It is not _that_ much more expensive than Nikon D5 or the Canon 1DX Mk II. Now the Outii are actually less expensive than the comparable top-line M-mounts. Fun to try, if you can get your hands on an SL. 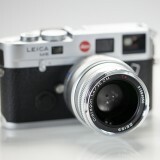 Yes, Leica SL would be probably nice alternative, however I don’t plan to buy one, because it doesn’t appeal me at all. 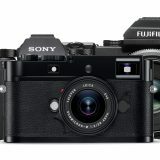 EVF DSLR is certainly good concept, but I would rather go with Sony A99 for a 1/4 of the price of that Leica monster. maybe it’s my impression but it seems that on a mere portraiture rendering, the Milvus lets more light in than the Otus; while light may vary, it seems that all the Milvus faces are about 1/3 or 1/2 stop lighter than the Otus. This is because of the different shutter speeds in the portrait session. Cameras were in aperture priority mode with fixed ISO and shutter speed was changing slightly to adjust for the conditions. Those shots are not meant to be compared technically, rather by overall appearance. A very useful and comprehensive review. Always wondered what I was missing on the Milvus and Otus side from my 85/1.4 Zf.2 Planar. Thank you all. Im thinking about picking up the planar for my a7s. I don’t need crazy resolution for portrait work, and the ergonomics will pair much better with a7 body than if using milvus giant. Did you decide to upgrade, or are you keeping the classic? Really great review of the 3 lenses. I was really surprised at a few of the differences between the Otus and Milvus, though I suppose for well over twice the price, really I shouldn’t be. I must admit that in the hand I love the Classic Planar T, it is a wonderful lens to hold and focus. I do miss the metal focus ring on the other two lenses. Of course when it comes down to optic, unfortunately it just shows its age. In the end I bought the Milvus and I have to agree with most of what you have said. It is a great lens optically, though I do have a couple of issue. which I don’t think you mentioned. I don’t particularly like where the rubber ring is placed on the barrel of the Milvus, when focusing I never have my fingers that far back on the lens and I feel it would be better if it was moved slightly further forward (or made wider like the Otus). The other slight issue I found, was because of the size of the barrel of the lens, it really isn’t that easy to move the aperture ring, when mounted onto a camera. It isn’t a issue with the D800 but mounted to an older film camera. it might be a pain. With the feel of the focus ring, the Milvus does feel like it give more resistance, than the Otus or Classic new but I have tried a couple of Milvus’s, which have been used as test models and the focus is a little better, so I think with time mine will improve. Whilst I would love the Otus, it really isn’t that practical and whilst there is a difference optically, really it is just us photographers who really pixel peep that much. Regarding manual focus. When it gets to 85mm it is very hard to get accurate manual focus with the D800, the camera isn’t designed for manual lenses and it suffers for it (I can generally just get away with my Voigtlander 58mm f/1.4 Nokton). I did buy the Milvus knowing that focus, might be a bit of an issue. To try and help I am using the Nikon DK-17m magnifying eye piece, which does help a little, though not a huge deal. Mainly, intend to use the lens on a tripod, with a pre-planed shot, focusing with the view screen (though I have shot using the view screen hand held and it wasn’t a big problem, as long as I set up the shot before focusing in on the subject) and I was getting very sharp results. Overall the weather proofing and clickless aperture were pretty compelling in the end and I don’t regret buying the Milvus, even after seeing the test results. For what I want, it ticks all the boxes. Hi Michael and thank you for the comment. The ergonomic in general of Milvus isn’t exactly what I’d like it to be and you are right regarding placement of the rubberized focus grip. There is another possible issue to consider – because the whole barrel (almost) is rotating, when you support the lens by left hand and press the shutter button with the right hand, there can be slight focus shift (camera might move under finger pressure). I am not sure if that happened to me during tests (it does with new Loxia 21/2.8 on Sony A7, and that lens has similar design, but it is much smaller and lighter lens), maybe you can pay little attention to it and let us know what you think, after some use. I wrote about aperture being too close and not easy to adjust (if needed). I am using DK-17m too, but without huge success. I think that problem is more pronounced because Milvus (and Otus) are much better corrected for spherical aberration, thus there isn’t that light glow around edges as with old Planar. In practice that means, that if you miss the focus with Milvus/Otus, you’ll end up with blurred image. If you miss it with Planar for the same amount, you might just slightly change the appearance of overall softness and that doesn’t matter much. All that being said, I think you made great choice. Milvus is 99% of Otus (except for LoCA) at much more affordable price and additional features you mentioned are very important for many. The Milvus particularly the long focus throw was designed with cinematography in mind. Maybe Zeiss felt the Milvus focussing ring has to have a bit more resistence to gain precise focus when using follow focus gears? I use Zeiss Classic for cinematography and quite frequently I find myself missing the focus by going a little too much or too less when focusing from one distance to another. Long throw simply add to the focusing precision, which is more demanding with higher reolution sensors. Stiffness of the Milvus focusing is result of moisture and dust protection, as I have learned from Dr. Nasse from Zeiss. Very thorough review! What are your thoughts on the Milvus being paired with older sensors? I currently shoot a 20.2 MP Canon 6D and was considering the 85mm Milvus as an “upgrade” from my current EF85mm f1.8, since I shoot 85mm regularly. Seeing as the Milvus is designed for 30MP and beyond, will I still be able to see the benefits of using the Milvus? I think you will profit from the upgrade in terms of IQ, if you manage to lock perfect focus. With Canon 6D you should expect lower keepers rate, because manual focusing with its optical viewfinder will be very challenging and using LCD and LiveView with magnification is cumbersome IMHO. 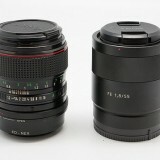 I would suggest to try with some cheap MF lens how it goes (try Helios 44 – 58/2 e.g.) and if you find your keepers rate satisfying, give Milvus a try. Canon EF 85/1.8 was very good lens, except for the rather strong axial chromatic aberration (LoCA) and weak back-light performance (loss of contrast, pronounced flaring). Milvus is certainly a step ahead in all IQ departments, except for the focus accuracy, which is hard to achieve with recent digital bodies. (That’s a big advantage of the systems with EVF). Hey Viktor, amazing review! The way you layout the pictures for comparison is fantastic. What do you think about the Milvus 35mm being f/2 and not f/1.4 (as the Classic line)? 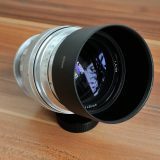 I am about to buy Milvus 50 and 85, and would really need a 35 to complete the set, but I was wondering if it might be better to wait for a proper f/1.4 version… Thanks! 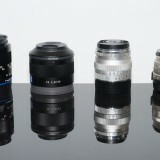 Zeiss will surely update their full “Classic” line if for nothing else, than for production optimization reasons. At the same time, I doubt that they will make many optical changes in a recent designs soon. Both Planars – 50 and 85 needed the upgrade because of the recent sensors resolving power, but other lenses including both 35/2 and 35/1.4 should be still fine in that regard. I have both “Classics” 35/2 and 35/1.4 and I actually find slower one to be slightly sharper at comparable apertures. 35/1.4 is a more specialized lens and thus the main question IMHO would be – do you really need that extra stop? If not, I will go with Milvus 35/2 and if yes, consider Sigma 35/1.4 Art, until Zeiss doesn’t come with Milvus 35/1.4. Hello Viktor, I’ve searched the Internet high and low for information about the Milvus 85mm and I was blown away by this detailed comparison, thank you so much! I own the classic planar 85mm and though I do love it’s special rendering and characteristic, the purple and green fringing is way worse than any of my newer Nikon lenses (and noticeable softer too) I tend to stay around f/2. I love the everything about the Milvus update and am almost sold on getting it. My question to you is, if I may…do you think I’m crazy for wanting to go with the Milvus over the Nikon 85mm 1.4g? I shoot on the D750, I use the magnifying eyepiece, have plenty of expierence manual focusing, but as you know even with that experience I still get a 25% miss rate overall on subjects and I like f/2) in your opinion, if you take price out of the equation can the Nikon 85mm get close enough , sharpness and bokeh and rendering wise to the Milvus to justify getting it and have the better hit rate of keepers? Or is the Milvus special enough to warrant having a bit less keepers over the Nikon? The Nikon does produce some lovely images and rendering but something keeps bringing me back to the Milvus. Any words of advice you could offer would be most appreciated, thanks for your time! In my humble opinion, you will see improvement at f/1.4 in comparison to your Nikkor 85/1.4G, especially in terms of crispness (accutance, edge sharpness, contours) and slightly higher micro contrast. Also bokeh should be somewhat smoother and there will be slight difference in color rendering. If all that is enough to justify cost of transition should be question that only you can answer. If there is any chance, that you can rent Milvus for few days, do that before purchase. If not, and you can afford it, go for it and don’t look back. 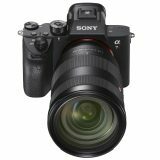 I use for manual lenses ONLY Sony a7rII – it has perfect sensor and frendly manual focusing via amazing EVF. Try it once and you never comeback to DSLR with manual lenses. Fantastic review. I’ve been looking for a while for exactly this type of comparison. Excellent job. I have to say I agree with much of your article. Especially with portraiture, there is little these three lens give up to each other. Just looking over some images I did with the Planar 85mm, it’s a fine lens and I love it’s characteristics. As a fashion/portrait photographer, I rarely shoot above f/2.8 and thus, I’m quite sold on the Milvus. From my research, the Milvus line is supposed to resolve up to 8k video, which is the still equivalent to 50MP. 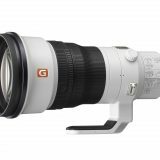 So for at least the next 3 – 5 years, it should be quite a great lens for a while. From what I’ve read, except for the Otus, the Milvus is the best 85mm DSLR lens out there. And it’s not the most expensive either. As you stated, the purchase of the Otus for you was really an emotional one. As a pro, it’s an investment. I also have to judge it’s ROI. If you’re a busy, full-time pro making really good money on every shoot, then maybe the Otus would be the choice to make. Otherwise, the investment would be better served on the Milvus. I am sure that you will enjoy new system. At around f/2.8, critical focus shouldn’t be an issue. Thanks for the incredible review! I am about to acquire the Otus 85 and 28 ZF.2 to mount on my A7II, with a Novoflex NEX/NIK F to E mount adapter and the ASTAT/NEX tripod collar. Since you are an experienced user of the combination (in the article you mentioned the best solution to focus the Otus is on the Sony A7x bodies), perhaps you can enlighten me on the following? 1) Is it a safe combination given the amount of torque (1+kg) pulling on the mount (since it’s not natively mounted) all the time? Is supporting the bottom of the lens at ALL times necessary to prevent any mount warping? combination that you are after is indeed – front heavy. For shooting, I always use my left hand to support the lens. I basically lean the whole weight on that hand, using right hand very lightly, just to maginfy focus and press the shutter. Don’t get me wrong, I don’t think that camera mount will brake easily. I am using Sony A7r with Canon TS-E 17/4 L over three years extensively (camera has over 200K actuations and still going strong btw) and I hold it often for the body only and it still doesn’t show any wobbling in the mount. A7ii has stronger mount (metal support) and it should be able to carry weight of the Otus and adapter but holding such a combo will be very uncomfortable, considering thin body and heavy front ballance. Shooting from the tripod is always better with the collar. Outstandig job! My only concern is D800 and D810 are known for lens calibration issues. 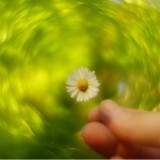 Every lens must be tested for this even if is manual focus. Green dot tells you when is in focus BUT maybe that’s not true even for Auto focus lenses. Cheers! Thank you so much for this comparison! I realize it has been a couple of years, but I am curious if you have any thoughts about my specific situation. I shoot occasional studio portraits, but mostly I am interested in an 85mm prime for photographing my artwork (oil paintings on canvas). In this case, I am usually stopped down to around f/10, and it is not a challenging situation like backlighting. I need the images to be sharp from corner to corner, but the color rendering is also equally important. In this situation, would you say that the Classic Planar is more on par with the newer Otus and Milvus, or is there still a noticeable difference in overall sharpness and color fidelity? I am looking at these three Zeiss lenses and perhaps the hopefully-coming-soon Nikon 85mm 1.8 S lens, since I am shooting on a Z7. I currently own a Nikkor 85mm f/1.8G, which is plenty sharp, but I find the color rendering to be worse than Nikon’s 24-70 S kit lens. I should probably just rent all four lenses and see for myself, but even renting starts to get expensive Anyway, thanks again for the great writeup! Previous story Zeiss Otus 28mm f/1.4, King line from Zeiss expands horizons.